Manly-Warringah will meet Northern District at Manly Oval on Monday to decide the 2018/19 Under 16 AW Green Shield champions. 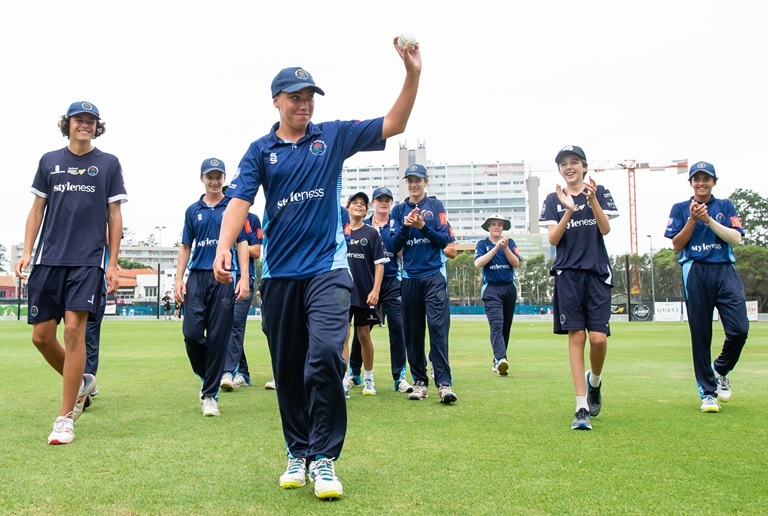 The AW Green Shield is renowned as one of the toughest underage competitions in the world and has unearthed players the calibre of recent Test debutant, Kurtis Patterson, and Australian fast bowlers Pat Cummins and Mitchell Starc. The Manly side are seeking to reverse the result of the Green Shield final last season when defeated by Parramatta. It lost that match by four wickets. Meanwhile, Northern District make their first appearance in the deciding match since the 2016/17 final. Manly earned home ground advantage in the Grand Final due to its top of the table finish after the seven preliminary rounds. It was four points clear of Northern District and remains undefeated in the competition leading into the final. Both teams progressed to the Grand Final after wins in their respective semi-finals on Thursday. Manly-Warringah overwhelmed Blacktown in its semi-final at Manly Oval. The minor premiers won by 164 runs after they dismissed the visitors for just 80 led by Lachlan Trewartha (5-20). Northern District defeated Campbelltown-Camden by eight runs in its semi-final at Mark Taylor Oval. Yash Patel claimed 5-42 for the victors. Patel is the leading wicket taker for the competition. He has tallied 20 wickets at an average of 10.35 and his best figures came in the semi-final. Manly captain Joel Davies is the leading run-scorer heading in to the final with 472 runs to his name at the excellent average of 67.43. Next best is Yianni Theodorakopoulos for Blacktown with 384 runs at 64. Manly-Warringah have won the Green Shield seven times and last won the prestigious trophy in 1991/92. Northern District last claimed the Green Shield in 1978/79. The club has won the title four times throughout its 93-year history. Since the Green Shield commenced in 1936/37, Bankstown has won the competition on a record 15 occasions. St George has claimed the crown 12 times and Manly is next on the all-time list of competition winners. The Grand Final commences at 10.00am on Monday.